“Songs of the Year”, Albums(s) of the Year – “Adobe Session”/ “I’m not the Devil”. Don’t blink or you may miss one of the best Shows on the road, especially when teamed up with “Whitey Morgan” and the boys! These two bands are like fuel in an open canister and flames all around, it doesn’t matter who opens which night they are equal “Show Stoppers” that feed off the energy of the crowd and each other. The two bands spend much of their lives cruising across the country touring into new areas across the US!. 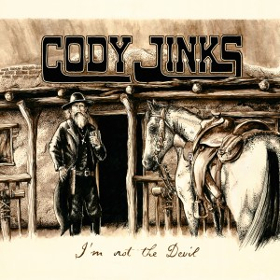 No longer one of the Best, if not the Best Show you could catch in the Midwest, Cody Jinks and his on the spot band have expanded into new areas of the United States meeting the cry of, “When are you coming to,” “… Hop on the bus and don’t be left behind, these 2 bands are going places in 2016/2017! !